With Alsco’s Managed Uniform Rental Service, we don’t just wash and return your uniforms. Using a sophisticated barcode system developed over years, we track every single delivery. This includes locations, last pickup dates, number of washes, and much more. Alsco’s delivery is hyper-fast and accurate. But it also means we can tweak our services to fit your needs with ease – and know exactly what uniforms need replacing and when. Because a convenient experience for you is at the top of our minds – always. We understand that you invest enormous amounts of time, energy and money understanding and catering to your customers. Alsco complements this effort by delivering the highest quality food and service apparel so every chef and kitchen employee looks and feels completely professional. 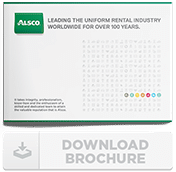 Take advantage of Alsco’s managed rental service. 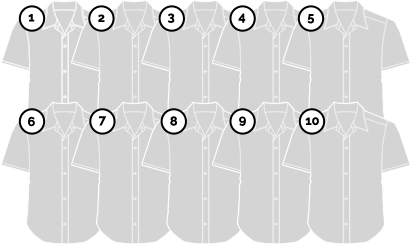 Your garments are cleaned, sanitised, repaired and delivered on a regular, agreed schedule. No hassle, no fuss. 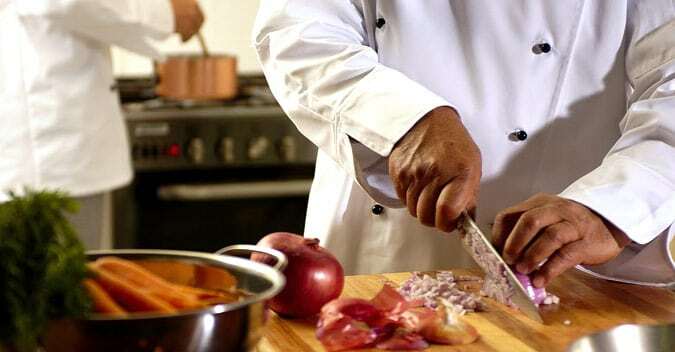 Classic, durable polycotton chef aprons protect your hospitality garments and set a professional tone in your kitchen. Available in a wide range of modern and traditional styles, lengths and fit. Combine with a tea towel service for the ultimate convenience and you’ll always have clean, crisp and fresh uniforms available, when you need it, where you need it.